Super easy rose that loves heat and humidity! 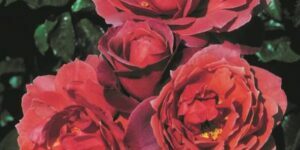 Scentimental is a fantastic choice as a first rose to grow if you are new to rose gardening. 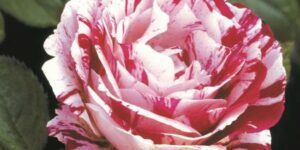 If you’re not new to rose gardening, then you will appreciate all of the great qualities that make this rose so unfussy. Scentimental Floribunda is super long-blooming. It tolerates a whole host of challenging garden conditions with a smile and it blooms bushels of flowers all summer long. And let’s talk about those blooms! 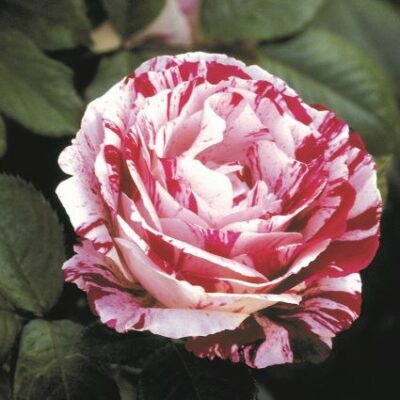 They are white with a kaleidoscope of red and burgundy stripes and splashes across the petals. And it’s not called Scentimental for no reason. The strong spicy fragrance will fill your house with its perfume and you’ll be cutting flowers to bring inside all season. 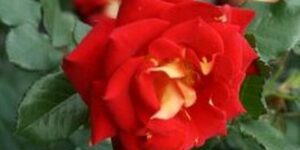 This floribunda won the 1997 All American Rose Selection award and certainly earned it. 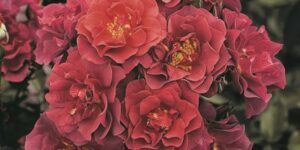 The flowers have nice high centers, beautiful dark green foliage, eye-catching color combinations and great symmetry. 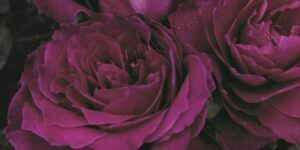 Because of that this super easy to grow rose also makes for a beautiful exhibition rose. It doesn’t get much bigger than 3 feet, so it works in even the smallest garden. 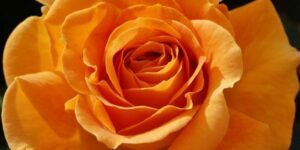 To top it all off, this rose handles extreme heat, humidity and even pollution. 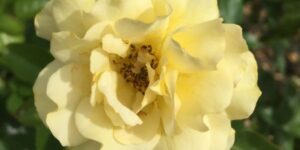 A great rose for city dwellers or those gardening in places with hot, sticky summers. 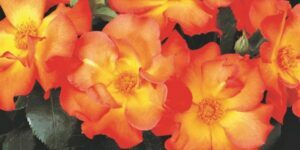 Scentimental is a great all-around rose that you will want in your garden. Order yours before we sell out!